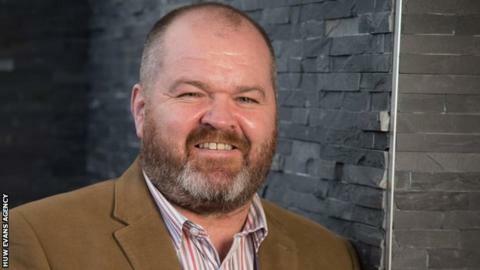 Managing director Andrew Millward says Ospreys have come through the worst week in their 16-year history - and confirmed the region would stay in existence for 2019-20. He admitted an Ospreys merger with Cardiff Blues had been among the options explored in high-level Welsh rugby talks. In an interview for Ospreys' website, Millward said: "Everything was discussed. Every permutation was discussed and worked out. We are happy with the outcome." Representatives of Blues, Ospreys, Scarlets, the Welsh Rugby Union (WRU) and WRU-owned Dragons sit on the newly-created Professional Rugby Board (PRB). The PRB has been discussing the future long-term configuration and funding of the four professional teams since the autumn - with talks dubbed "Project Reset". Millward also said the WRU board will consider the four Welsh professional regions' proposed budgets for next season at a meeting on Monday with an announcement expected to follow in the subsequent days. Ospreys, Cardiff Blues, Scarlets and Dragons have been unable to offer fresh deals to players coming out of contract at the end of 2019-20. There had been speculation about Ospreys' future before their Pro14 defeat by Munster on Friday night, but head coach Allen Clarke afterwards said he had been reassured about the region's status. Millward said: "In its basic terms, there is no change." "Every avenue has been explored. We are delighted with the final outcome." Millward outlined the impact the uncertainty has had on the region. "I had a chat with the squad before the Munster game because it had escalated to a point where things were becoming unmanageable," said Millward. "You can't tell people things when you don't know yourself and that's been the position. It's people's livelihoods and that's been difficult. "It has been very tough. I'd like to think we have managed it fairly well." He added: "If you look at our performance against Munster on the back of what has been the worst week I can remember in the region's history, their reaction has been pretty good. "I played amateur and professional rugby, but I can't remember a time where it has been as tough as it has been recently. "They were in the position where they (the players) knew in three or four months they might not have a job. "For the boys to galvanise themselves and produce a will to play for the jersey was fantastic. The players who were out there were the ones that were most at risk." Millward expects the funding issue to be looked at on Monday by the WRU after the newly-created Professional Rugby Board presented a set of proposals. The PRB is the new joint organisation set up by the WRU and regions to run the professional game in Wales and deal with regional funding and a new player banding pay system. This is part of "Project Reset" which could be finally unveiled this week, as early as Tuesday. Millward says Ospreys have made provisions for recruitment despite the uncertainty although it remains to be seen whether Wales captain Alun Wyn Jones will sign a new contract. He expects the budget will be the same as this season. "We've been in a position this year where we've had to make some cuts dating back to last summer and the start of Project Reset," said Millward. "We needed to make some cuts in our squad spend and we've achieved that. As regions we all had business plans as well as financial targets for rugby and the business. "Unfortunately there is not the money around to get more, but as far as I'm aware it will be signed off on Monday. Our budget will be the same next year as it is this year. "It's the same for us as it has been for everyone. It has been difficult and PRB's function is to look at all the options that have been available for Welsh rugby moving forwards professionally. They've done that." Millward says the last year has been a reality check in terms on finances. "Expectation in Welsh rugby far outweighs the situation in Wales as a country," said Millward. "People expect our teams to be up there competing with everybody at every level. The frustration and difficulty is we can't compete commercially because Wales as a country can't operate at the highest level. "We haven't got the business or the GDP. We just can't do it. Nobody wants to be mediocre. You are only in sport if you are competitive and want to win, but sometimes you stretch yourself too far in terms of your budget and that leads to difficulties. "We are constantly trying to push and pull to better ourselves in one area, but to the detriment of something else." Millward believes Welsh regional rugby can not afford another episode like the last few months. "How long have we been in this position in Welsh rugby?" added Millward. "Are we ever going to get on the front foot and stop all the bickering and political rubbish which goes on behind the scenes? "We need to be united and move forward. That's the frustration for me as a rugby man."